Finally, the moment has arrived: we will now announce the Editors’ Choice winners for the IU Flash Fiction challenges from March and April 2018. Finally, the moment has arrived: we will now announce the Editors’ Choice winners for the IU Flash Fiction challenges from February 2018. 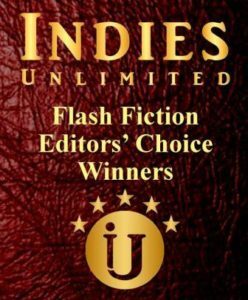 Finally, the moment has arrived: we will now announce the Editors’ Choice winners for the IU Flash Fiction challenges from January 2018. Finally, the moment has arrived: we will now announce the Editors’ Choice winners for the IU Flash Fiction challenges from November and December 2017.